Weekends are better with a stack of waffles, but this gluten-free sprouted oat and millet batch is a great excuse to pull out your waffle maker any day of the week. 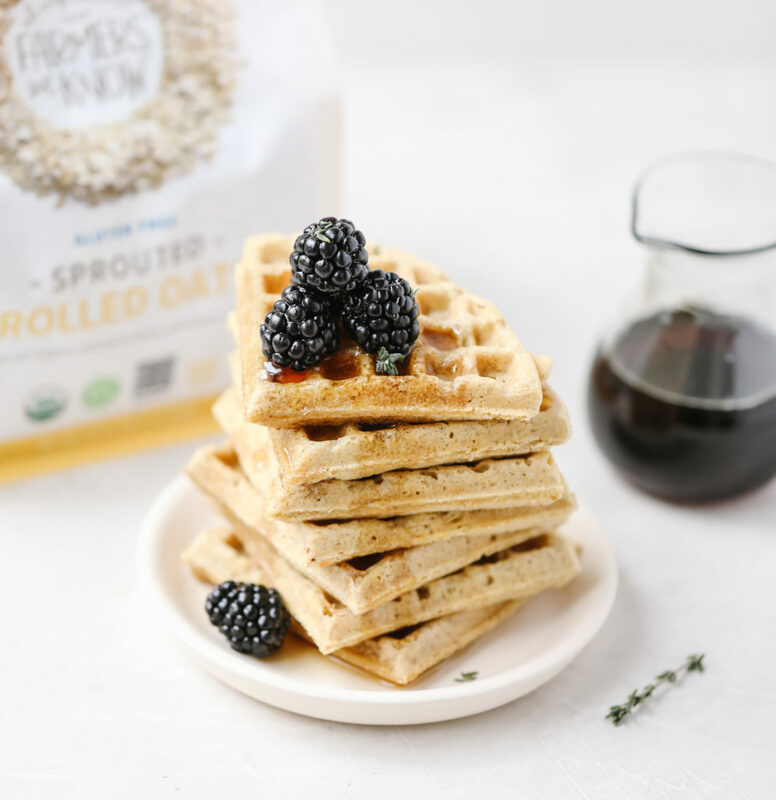 Made with our Sprouted Rolled Oats and golden flax, these lighter waffles are delicious topped with homemade blackberry thyme syrup and stacked extra high. To make the waffles, combine all ingredients in a high-speed blender and blend for 30 seconds. Set aside for 5 minutes. Meanwhile, make the infused syrup by combining the ingredients in a small saucepan. Bring to a boil over medium heat, lower to medium-low heat, and cook for 5 minutes. Turn off heat and let steep for 10 minutes. Blend the waffle mixture again until smooth. Pour half the mixture into preheated and lightly greased waffle iron and use a rubber spatula to help spread evenly. Cook until lightly browned and cooked through. Repeat with remaining batter. Plate waffles and serve with strained syrup and fresh blackberries, plus a sprinkle of fresh thyme if desired.